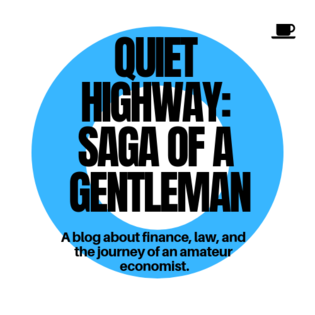 Quiet Highway: Saga of a Gentleman: Percentage of Union Workers in U.S. In the U.S., just 7.5% of private-sector workers are union members, and about 12% of all workers, including government workers. In the euro zone, 18% of private-sector workers and 22% of all workers, are unionized. Unions themselves are neither good nor bad for the economy. In fact, theoretically, unions provide stability to workers and reduce replacement and retraining costs for employers, so they should be economically favorable. The problem with modern-day unions, especially government unions, is their benefits, such as pension and health care liabilities, are uncertain. Without some direct tie-in to the present value of funds in the budget, government union benefits could expand exponentially, sapping more and more taxpayer dollars. In addition, many union negotiations occur behind closed doors, providing no check on expanded taxpayer liabilities. No business or government can survive by continuing to add undefined, potentially unlimited benefits while running major deficits. More on California's government unions HERE. More on California's teachers' unions HERE. More on the general topic of government unions here (Warren Buffett); here ("Rotting from Within"); and here (Road to Bankruptcy). Update on February 15, 2010: the NYT and Phyllis Korkki have their own percentages on union membership HERE. Basically, in 2009, 12.3% of wage and salary workers were union members. 7.9% of the aforementioned 12.3% were government workers, meaning just 4.4% of private sector workers were unionized. Among government workers, local government workers like teachers, cops, and firefighters (as opposed to state and federal government workers) had the highest rate of public sector membership, at 43.3%. See THIS chart for more information (Catherine Rampell, NYT, June 1, 2010). In California, 13.7% of all employees were state and local government employees in 2009. That doesn't sound like a huge percentage, but most elections inspire only 50% to 70% of eligible voters to come out and vote. That means union members often supply 20% to 25% of the total voters on a proposition or candidate. "In 1981, the labor movement was already in decline, and the trend accelerated afterward. In 1960, one-third of the private-sector workforce had been represented by trade unions. Today, only 8 percent is. The missing army of private-sector union members--that is, the number of additional workers that the movement would include today if unionization rates had stayed at levels of the 1960s and 1970s--is about 20 million people." "Less than 7 percent of private-sector workers now belong to a union, compared with more than 30 percent in the 1950s. Since 1983, about 3 million fewer people are represented by unions...The public sector, however, has been somewhat cushioned...Some 36 percent of state and local workers belong to unions (and that includes "right-to-work" states that prohibit union-only workplaces and have far smaller union rosters)." Unions are not needed in the United States any longer. They survive simply for their leaders' power to finance the Democratic Party. Look at the damage done to the automobile, airline, steel and so many other industries. And the recent strike at Boeing has to an unknown extent diminished its competitive position not only Airbus, but upcoming entities in China and India. Your views are much more balanced than the sources you give on unionization in the US. "Unions are not needed in the United States any longer." Non-interventionists really tick me off with this. The existence of centralized corporate power is the result of government intervention in the form of limitations on liability to business officers and owners. As such, without unions to counter-balance this, labor is at a severe disadvantage. We got to where we are in terms of national living standards through organized labor, and, just as with police and military vs crime/invasion, we can go right back to where we were if it's discouraged/removed. Mr. Rafat acknowledges this, though I still think his concluisons should also be compared to church membership and voters with heavy church affiliation to avoid accusations of partisanship. just look around you.. most people who make a living wage don't work anywhere near 40 or fewer hours a week, and the number of people people who actually make a living wage is diminishing with each decade.